Taipei, Feb. 13 (CNA) Disappointing sales in January sent shares in metal casing maker Catcher Technology Co., a supplier to Apple Inc., lower Wednesday, and selling spread to other “Apple concept stocks,” dealers said. As of 12:23 p.m., shares in Catcher had lost 3.27 percent at NT$237.00 (US$7.69) on the Taiwan Stock Exchange, where the weighted index fell 0.10 percent at 10,087.24. 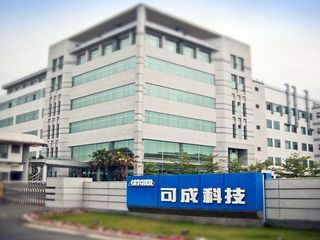 Among other Apple suppliers, shares in Largan Precision Co., a smartphone camera lens supplier, had lost 0.65 percent at NT$228.50, and shares in Taiwan Semiconductor Manufacturing Co., a processor provider for iPhones, dropped 0.50 percent to NT$3,980.00. Dealers said the downturn in Apple suppliers pushed the broader market down, having gained in the previous two trading sessions to stay above the 10,000 point mark.